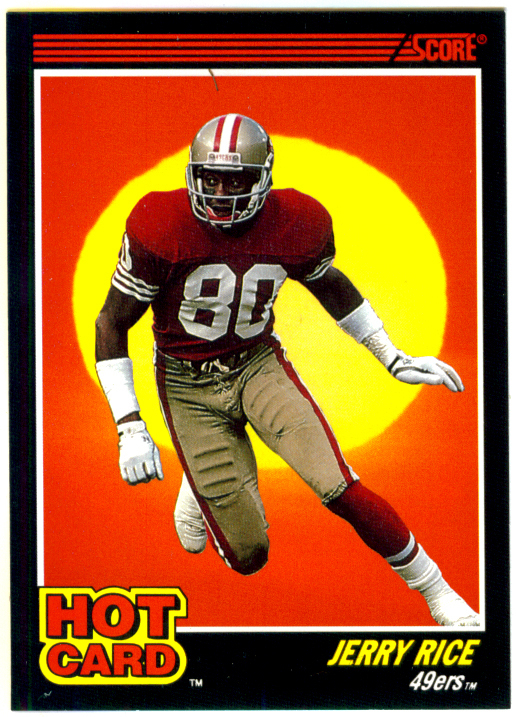 1990 Score Hot Card insert of legendary San Francisco 49ers Hall of Fame receiver Jerry Rice (#4). NrMt-Mt. ONLY ONE AVAILABLE FOR SALE.